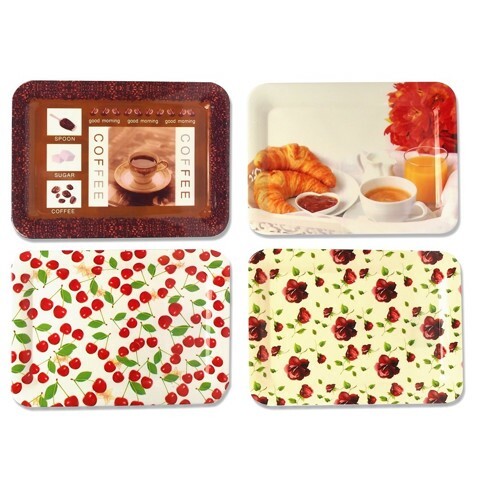 Serving Tray 42X30Cm 4Asst. 42 x 30cm. Roses | Coffee | Coffee and Croisant | Cherries. Polypropene | Calcium Carbonate. 500G Packaging: PP Bag.